I see so many remarkable things writing for Babyology but it’s the small things I seem to covet the most, putting these star shaped crayons from Earthling Crayons at the top of my ‘must-have’ list. A country-wide Crayon Recycle Program has seen more than twenty-four thousand kilograms of unwanted crayons collected from schools, restaurants and businesses across the USA. 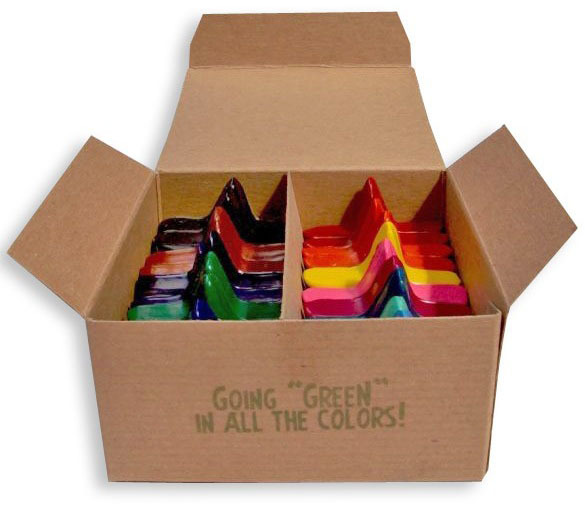 In true eco spirit, Earthling Crayons are recycling the huge collection into fun new crayons! The Eco Stars are a product of this fantastic recycling and I personally find them maybe a little too cute to use. The smaller size and star shape fits easily into a small child’s hand and with five points to every star, it’s super easy for even the youngest of tots to make works of art. 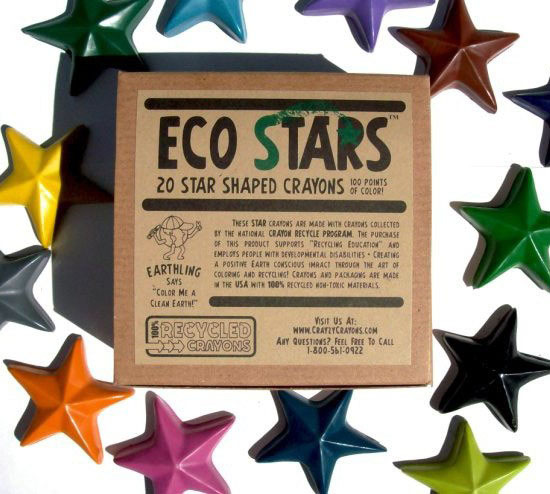 Each set of Eco Stars consists of twenty brightly coloured non-toxic star shaped crayons, packaged beautifully in a box. A gorgeous gift for children and also a lesson in how to reuse and recycle! Eco Stars are available from Fishpond for $26. Delivery is available Australia wide.